Hydrogen sulfide (H2S) and other volatile sulfur compounds (VSC) have received a great deal of attention as gaseous emissions associated with poultry productions. These compounds, especially H2S, have low odor thresholds (10 ppb) and when managed improperly, higher concentrations of H2S negatively affect humans, poultry, and the environment. 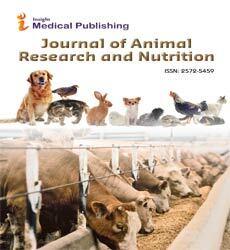 Primarily, odor emissions during poultry production depend on determinants such as sulfur containing compounds (cysteine and methionine) in feed and biological processes associated with their use/ production. Post feeding, as manure accumulates and during its storage, anaerobic decomposition of amino acids forms intermediate sulfur-containing compounds that ultimately form VSC. To manage poultry waste properly, it is important to have an understanding of determinants of H2S emissions, associated microorganisms, as well as their interactions. Promising areas of research to reduce odor emission include feed supplementation (additives, prebiotics, and probiotics); manure manipulation (pH, moisture, and it microbial population); housing types; ventilation rates; and bio filters. The most promising singular methods to reduce 100% H2S emissions are probiotic supplementation in feed, sawdust in manure, or a biofiltration system. Where cost and equipment availability may be prohibitive, combined methods (assuming additive effects) of fibrous byproducts and manure moisture control via microorganisms or oil addition can also reduce 100% emissions as well. More investigations should focus on these single or combined methods in commercial poultry production.